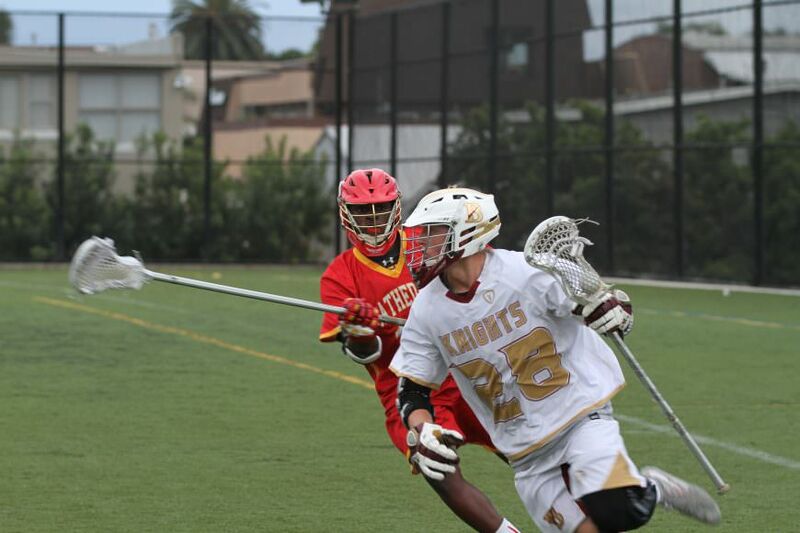 On Thursday night, the Bishops Knights and Cathedral Catholic Dons met in La Jolla. 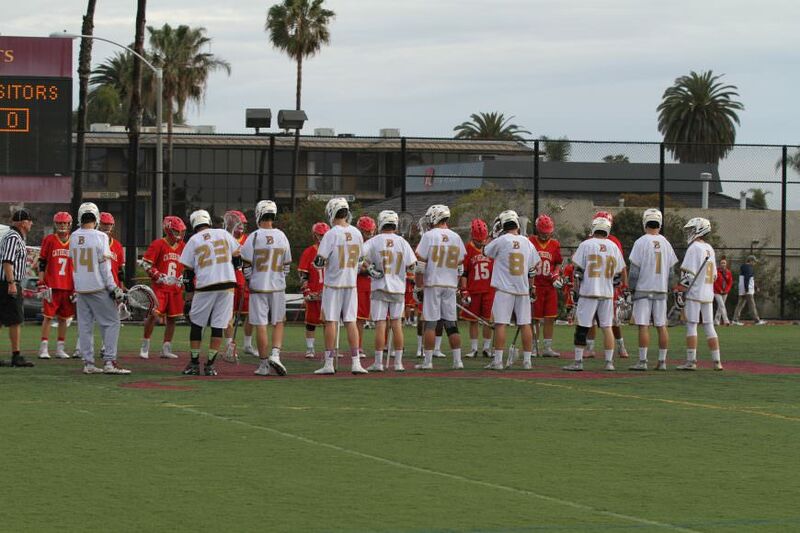 The game between the number 4 ranked Knights (4-2) and number 8 ranked Dons (4-6) was tense. The 4th quarter brought a 6 goal rally by Cathedral and a scuffle between teams that sent officials penalty flags flying. After the dust settled Bishops secured a 14-11 victory. The game started out with the Knights senior Christian Ford (Michigan) scoring back-to-back goals, the second assisted by senior Ryan Hastings (Duke). Bishops went up 3-0 on a goal from Hasting before Cathedral got on the board. Connor Mataczynski split-dodge and took a strafing right hand shot to make the score 4-1. Goals from Knights Hastings, and Jack Raser and from the Dons Mataczynski rounded out the 1st quart at 5-2. The rest of the 1st half had Bishops and Cathedral trading goals, each putting up 2. Hastings and Cathedrals Mo Mirer (Notre Dame), both demonstrating the shooting skills and putting the ball on net. The 1st half finished 7-4. The 2nd half was a tale of two quarters which couldn’t have been more different. In the 3rd quarter Bishops offense fired from every angle posting goals from senior Logan Zeigler, Cal Costa (Ohio), Hastings and Ford. 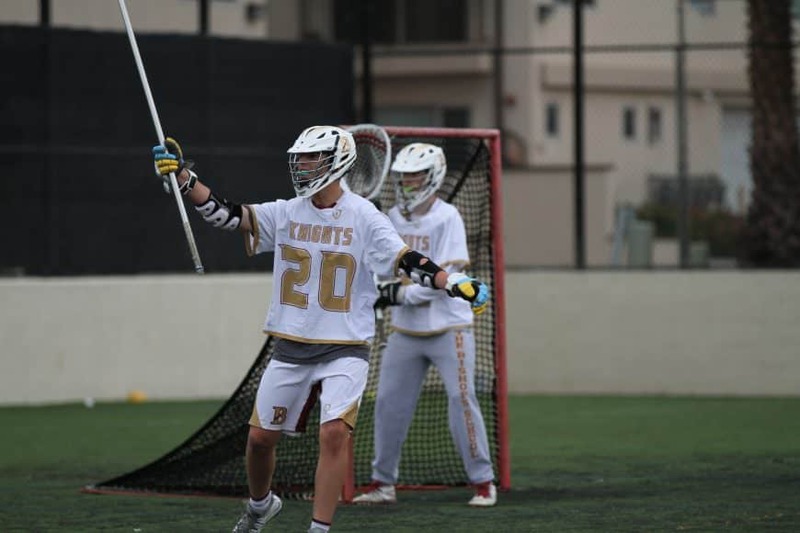 Meanwhile freshman Oscar Hertz, Jonathan Ford, Sahil Sheth, and Jack Case led the Bishops defense in holding the Dons to 1 goal in 12 minutes. The 3rd quarter ended 12-5. The 4th quarter was a complete reversal of the 3rd the Dons offense came alive. Marcus Yandall and Logan Schmitt put up two quick unassisted goals early in the quarter to start off a 5 goal rally. 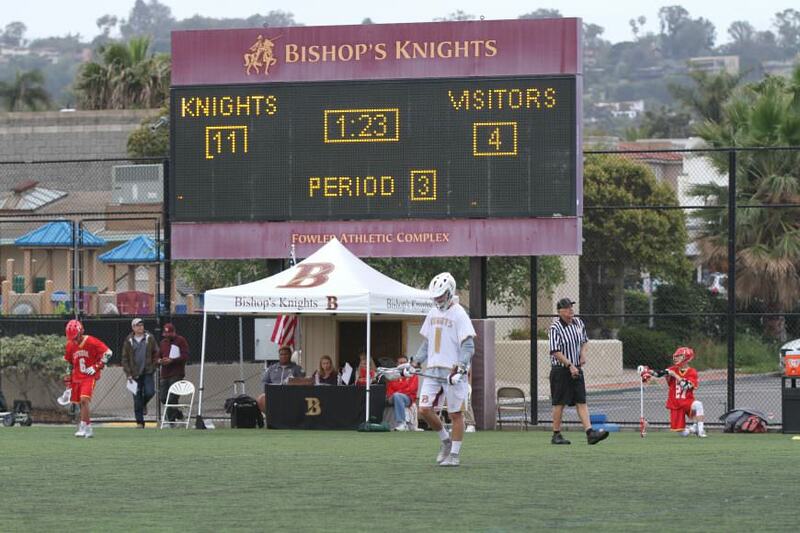 Nick Doyle and the Dons defense held Bishops well into the 4th. But the Knights reinvigorated by the possibility of loss put a couple in the net before they leveraged the clock and a skilled game of keep-away by Costa to limit Cathedrals possessions. Costa staved off as many as five Cathedrals for over 30 seconds in an impressive display before a cross-check by the defense turned into a small scuffle. When play resumed and the dust settled the score was 14-11 and the Knights secured their 5 win for the season. Notable performances included Ryan Hastings with an impressive 7 points, Costa (2G/1A), Raser (2G/1A) and J. Ford (5 GBs). Dons standouts included Mataczynski, Ryan Fazio, Yandall and Doyle.